We continue our excellent discussion with Nick Begich and go deeper into the area of Mind Control and the application of Positive technology and the implementation of Sinister Technology. Topics Discussed: Dr. Reijo Mäkelä, Michael Persinger, Jose Delgado, Consciousness, God Helmet, Hemisynch, Drugs, LSD, Same result using technology (magnetic fields), Quantum Computing, the Word Wide Mind, The Hive Mind, Biofeedback devices, Human Potential, Brain Potential, Technologies as Educational Tools, The Technological Singularity, "The Mind has no Firewall", Dangers of Cell Phone Radiation, Wi-Fi, Microwaves, Project Solo, "Piggyback Signals", Cell Phone Towers, Imbeded signals in Department stores, Light and Sound Devices, Improving the Technology, Chemicals & SSRI's, George Carlo & Cell Phone Research, Hemisynch Positive Changes and a Vigilant Population and much more. Dr. Nick Begich (Angels Don't Play this HAARP), presents the solid science on mind control. It's academic, military, and intelligence history. The film is set-up as a workshop type presentation on the mind control devices available today for psychological, physiological control. Well researched, and extremely informative presentation. 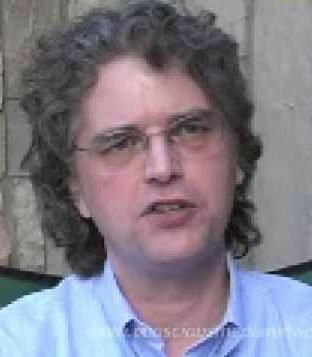 Nick Begich; Are You a Manchurian Candidate? Heute waren schon 5 visitors (18 hits) hier!